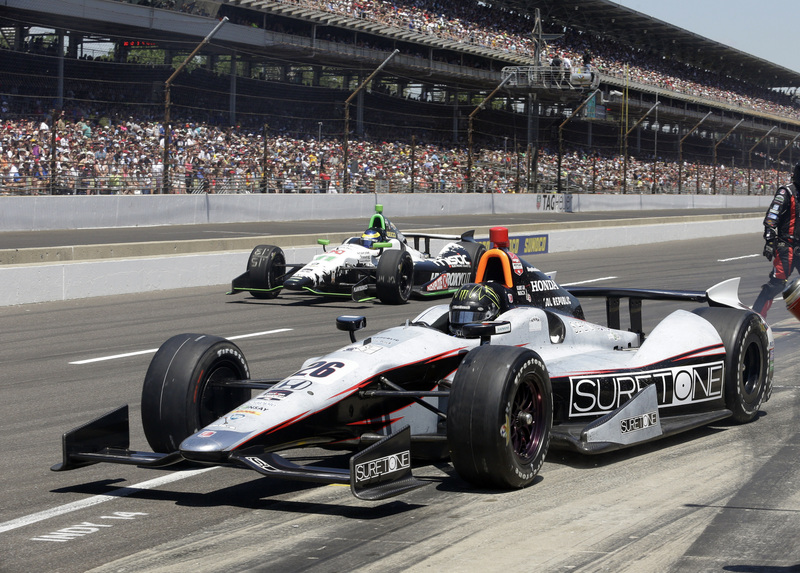 The 98th Indianapolis 500 was completed on Sunday May 25, 2014, at the Indianapolis Motor Speedway. It is the premier event of the 2014 Verizon IndyCar Series season. Tony Kanaan entered the race as the defending champion. Ed Carpenter won the pole position, his second consecutive pole at Indy. The race was won by Ryan Hunter-Reay. The month of May activities opened with the inaugural Grand Prix of Indianapolis, which was won by Simon Pagenaud on May 10. Practice opened for the Indy 500 took place on Sunday, May 11. Time trials were held over two days, May 17–18, and a post-qualifying practice was held on May 19. The traditional final day of practice, dubbed Carb Day, was held on Friday, May 23. All four divisions of the Road to Indy ladder will participate in the meeting, with doubleheaders for the Cooper Tires Indy Lights (Liberty Challenge and Freedom 100) and IndyCar Series (Grand Prix of Indianapolis and Indianapolis 500), and road course races only for the USF2000 and Pro Mazda Series, with Lucas Oil Raceway hosting oval races for the two series during the oval race weekend. The Stadium Super Trucks are also scheduled to race on Carb Day.